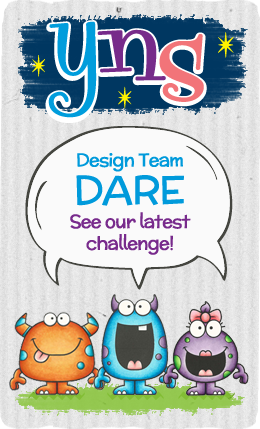 The DT Dare Challenge this month is Shake, Shake, Shake!! The design team was asked to create a project using that has a shaker pocket. 1. I cut my card base to a A2 size card, 4.25 x 5.50 scored at 5.50. 2. I cut the white card panel to 4.25 x 5.50 and used Your Next Stamp Scrapworks-Mini Sunburst Die Set to cut a flower in the center of the paper. 3. I used a retired Stampin’ Up! embossing folder to add dimension to the card front. 4. I stamp the sentiment and the smily faces from the Your Next Stamp Zero Calories stamp set with My Favorite Things Hybrid Black Ink. 5. I used the We R Memory Keepers Fuse Tool to create my shaker pocket. I added Lucy Abrams Star Shine Sequin to the pocket then sealed it. 6. I added the shaker pocket to the card panel with tape adhesive. I added foam take to the back of the panel and added it to my card base. Whoa La!! My card is complete!! Don’t forget we have Blog Candy for you! Just a reminder….we have a Birthday Sale!!! 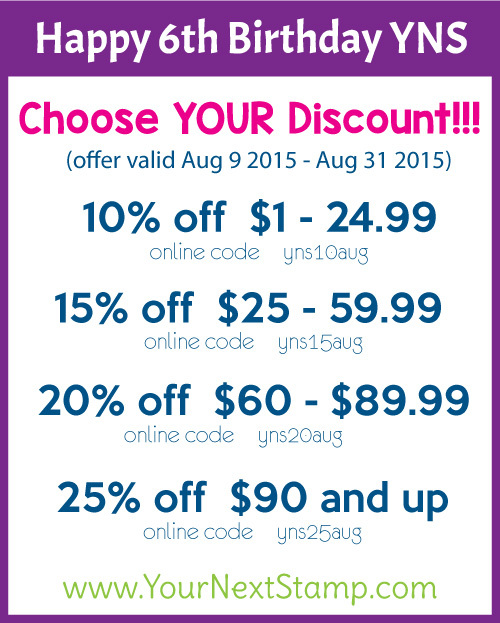 Don’t for get to take advantage of the special promo code to choose your own discount!! Kymona, I love your beautiful card!! I think it is a great challenge. Love seeing new and fun things to use to not only invest in but to stretch our imagination to try new things with products we already have! Love the fun pop of colour in your shaker card! Love the embossed stripes on this very fun, and extremely sweet shaker card!! Those cute faces make me smile!!! Have a wonderful day! !